Bangkok Airport — Copenhagenize Design Co.
Thailand's second largest bank, Siam Commercial Bank (or SCB), planned on constructing a 23km long cycle track around Bangkok International Airport - Suvarnabhumi. This was the beginning of one of the more impressive projects we've ever seen and we were excited to be a part of it. 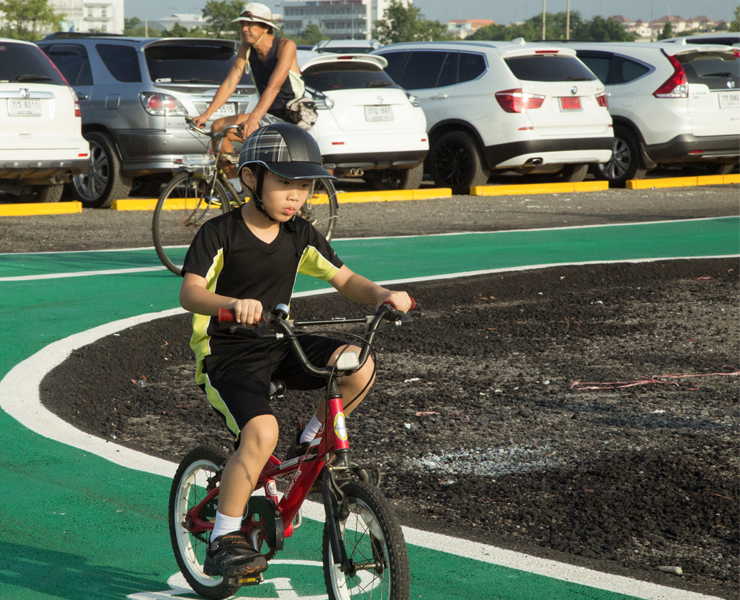 In its basic form, the airport cycle track attracted, at peak hours, more than 6,000 cyclists. Our team was hired to take the basic idea and state of the cycle track and coach SCB on how to transform the facility into a world-class bicycle destination. It was a brilliant combination of placemaking, infrastructure planning and communications.